Ever since CURA introduced layer preview, it never bothered to show the GCODE. If i see the code, i dont need to print the model to know how it will behave. This is very useful especially to setup retractions, because you could see where it retracts and where it doesnt. 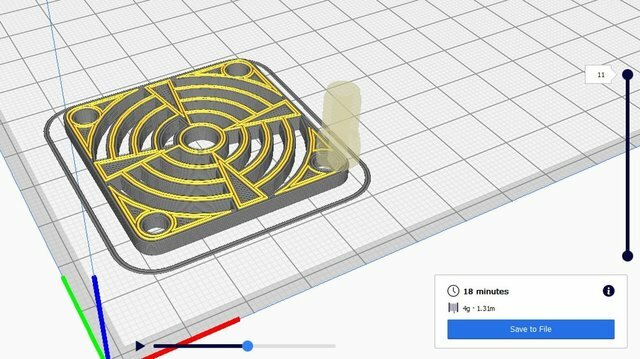 If CURA developers would see retractions or lack of retractions in the preview mode, maybe they would have fixed CURA's retraction problem that exists since day one and never becomes addressed. I cannot describe how useful this is. I dont need to print the object to know how it will behave. Maybe someone here can learn something ? Hello @tonycstech, I agree that the layer view could be more useful. 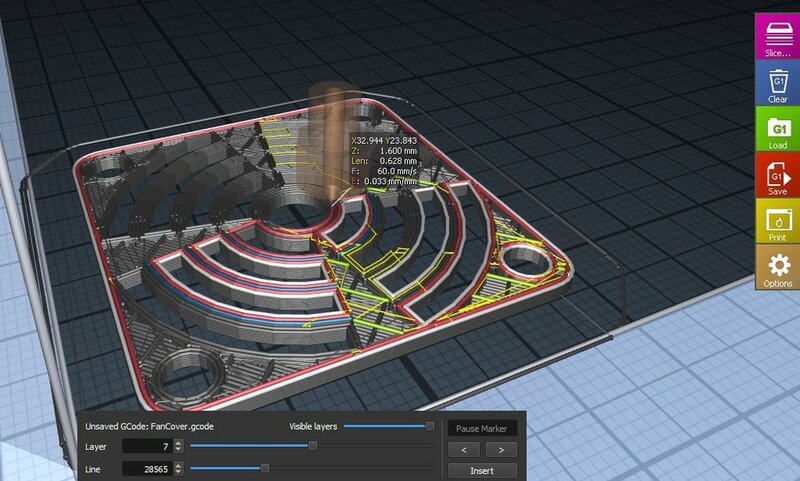 The last time they revamped it, I suggest that they make it more like the craftware viewer which is what I use when I want to inspect the cura gcode. However, most people don't need that level of details so I can see why they didn't bother to enhance it further. What retraction problem are you referring to? @tonycstech - you can certainly see retractions in layer view. As you can see here - make sure you check the box "show travels". Light blue are retraction moves. Dark blue are non-retracting moves. Both types are non-extruding moves. If you look carefully there are about 30 non-retracting moves below and 2 retracting moves. I dont need colors, i need information abut what its doing, not whats it has already done. Very difficult to tell without zooming in very close. Would be allot easier if it had extrusion information at the top of the nozzle like Craftware. You have the layer number but not the line number. That makes it hard to troubleshoot little changes if needed to observe the effect on changes made. Just because i see colors, does not mean i remember which one refers to what. Hi @tonycstech, could you please say some more about this issue? Thanks. Too many retractions during infill. Nearly every move of infill ends with retraction where as CRAFTWARE just lets it roll around and retracts when it changes position. Cura changes position in infill too much and it causes excessive retraction count. I dont know what option i checked but Cura is FINALLY printing entire inner/outer wall in one go where as before it would print it in steps jumping from one perimeter to another until all walls (that could consist of 3-5 perimeters) printed. That was sickening. 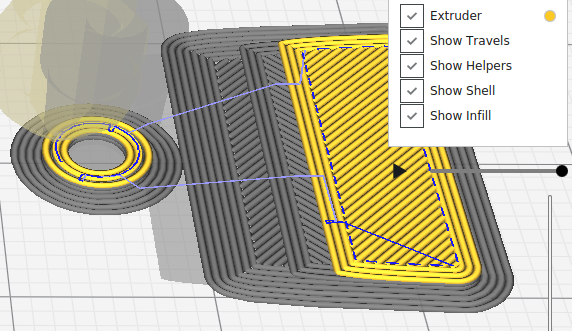 If i know what option changed that, i'd be more specific about the problem but i dont know, gcode preview does not allow me to know much when am looking at it. In fact, Gcode preview never allowed me to see much ever in Cura. It was and is no more then a "layer" preview and no way "print" preview. Is there any way to make the slice settings menu stay on the screen all the time ? New UI is fat. Everything is big and covering half the screen when opened. Old UI was allot simple and was always on the left of the screen. 2 - Enable Connect Infill Lines - this will zig-zaggify the infill and really does cut down on a lot of travel moves. 4 - Set the Max Comb Distance With No Retract to whatever value you wish (typically 10 - 30). That would be the Optimize Wall Printing Order setting. Sorry, I know nothing about the UI or the graphics so I can't help with your other gripes. 2 - Enable Connect Infill Lines﻿ - this will zig-zaggify the infill and really does cut down on a lot of travel moves. I cannot change infill pattern, i have reasons. For that, #1 #2 are not even options. #3 combing produces unwanted motion i do not need. #4 same combing. I avoid it at all costs. So really the solution is to add minimum travel before retraction for infill independent fro the rest of the model. Everything else is a patch on a bleeding wound. When was the " Optimize Wall Printing " introduced ? It forces me to switch to cura 4 fro cura 15. is there a plugin for cura 15 that adds that feature ? I really dont like the new "mobile phone looking" UI but i am forced to switch for Optimize Wall Printing.